In its continuation of its highly successful collaborative line with Japanese designer Miharayasuhiro since 2000, Puma releases the MY-61 “Snake” collection, which will make its official debut at select Puma stockists in the very near future. The mesmerizing reflexive grey snakeskin is paired off with an upward swooping foxing band on the side to make every stride count. 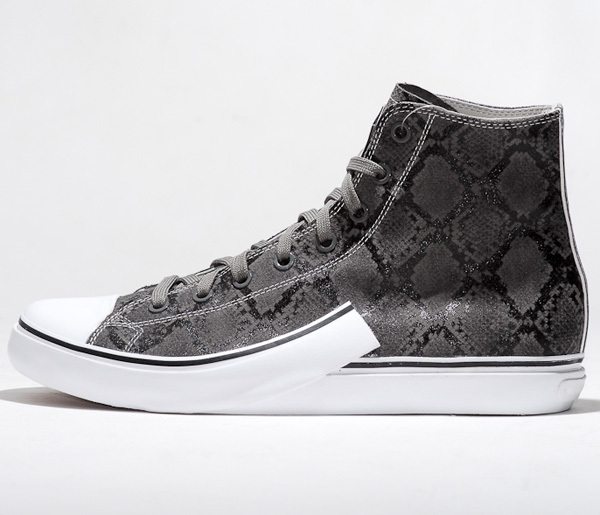 The shoe is available in a hi-top model with a white sole as well as a low top model with a black sole.